I was standing in a bookstore with my mother; we were looking at Bibles. Who knew there were so many? I expected to find “The Bible.” The choices between “leather” and “leatherette” alone were enough to confuse me. We also had to consider paper and hardcover, red-letter and family, amplified and…I don’t know. Quiet? And there were also “translations” to choose from. At least there, I was on firmer ground. Sister had told our seventh-grade class that if we didn’t already have a Bible at home, to buy the New American Bible translation. Mom and I found an inexpensive paperback and headed for the checkout lane. The next day in class, Sister showed us how to find the New Testament. We spent the next several weeks reading and discussing passages from the Gospel of Matthew. Even though no one in my family had ever owned a Bible before, I knew many of these stories. I had been hearing them at Mass all my life. It’s common to hear people say that Catholics don’t know the Bible. Sometimes that’s true. But for those of us who participate in Mass regularly, we do know many of the stories in the Bible. We just don’t always know what part of the Bible they come from. After seventh grade, my Bible didn’t get much use for a few years. Then, during my junior year in (public) high school, I met some Evangelical classmates. They carried their Bibles to school with them, which I thought was very weird. They would sit together during lunch and discuss passages from the Bible, much in the same way we had done during those weeks in seventh grade. Pretty soon, I was bringing my Bible to school and sitting with my new evangelical friends during lunch. By the end of that year, I could find my way around the entire New Testament—not just Matthew’s gospel. For a few years after, I soaked up as much as I could about the Bible. I went to workshops sponsored by the Catholic diocese. I took a course in Old Testament my freshman year in college—taught by a Southern Baptist. I listened to cassette-tape courses by big-name biblical scholars. And I began to train lectors at my college Newman Center. Many Catholic college students in the 1970s had grown up without reading directly from the Bible. And they grew up without any courses or workshops about the Bible. As I would talk with the lectors, I realized they had no clue about what their readings meant. I was no expert, but I did want the lectors to understand what they were proclaiming. At that time, there were no lector guides. There were no quick, simple resources. So I improvised. I used the introductions in my scotch-taped, yellow-highlighted, seventh-grade Bible to teach the lectors about their readings. All that has changed now. Catholic children are often reading Bibles in grade school or parish religious education programs. Almost every Catholic teenager—if they are active in their parish—owns a Bible. Many have even read significant portions of at least the New Testament. Even so, there are still a lot of people who want to know more about the Bible. I know a little more about Scripture now than I did in college, but I’m still no expert. What I am is an active Catholic. What I am is a person who loves Scripture. 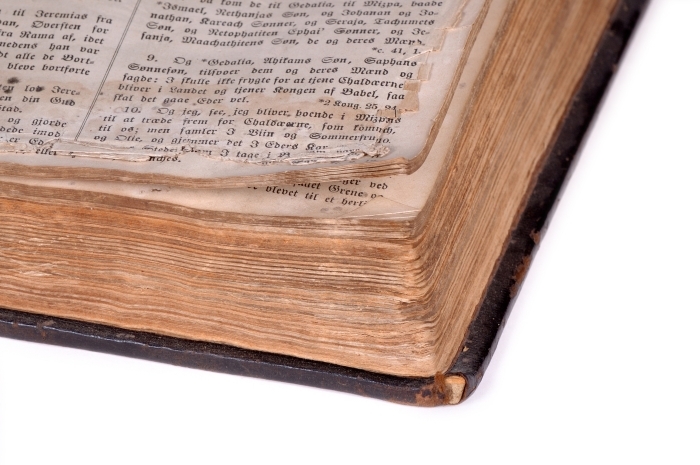 If you would like to know more about the Bible, I’m going to share some of what I’ve learned in a series of posts here on the Faith Field Guide site. I’ll also recommend some resources for those of you that want to do some deeper study of the Bible. Even if you know very little about the Bible, I hope you will share your reactions and questions in the comments box at the end of each post. By sharing, you will help others think of things they might also want to share. And if you know a little more about the Bible or a lot about the Bible, I especially ask you to share your knowledge. We are all learners, and your insight will help all of us grow. Posted on Sunday, June 12th, 2011 at 6:13 am	under Bible.